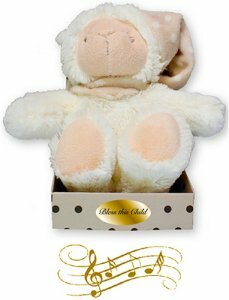 DIVINE CHRISTIAN GIFTS - Musical Baby Plush Lamb With Pull Cord. Musical Baby Plush Lamb With Pull Cord. Plush Bear 6" comes complete in gift boxed.